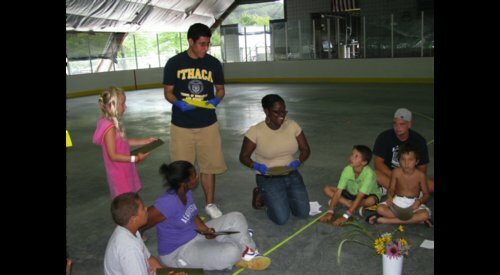 Students put on demonstrations for children at a local camp over the summer. 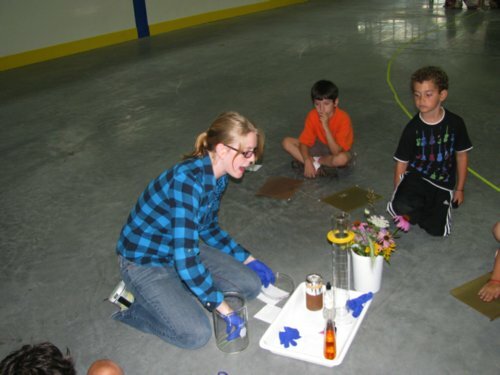 Courtney (Chemistry, 2012) talking about chemistry to children at Cass Park camp. 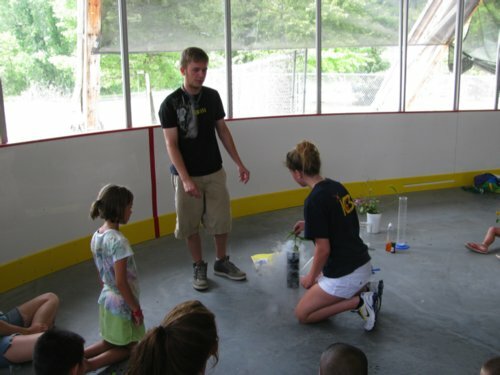 Joe (Biochemistry, 2012) and Samantha (Chemistry, 2012) dipping a flower into liquid nitrogen. 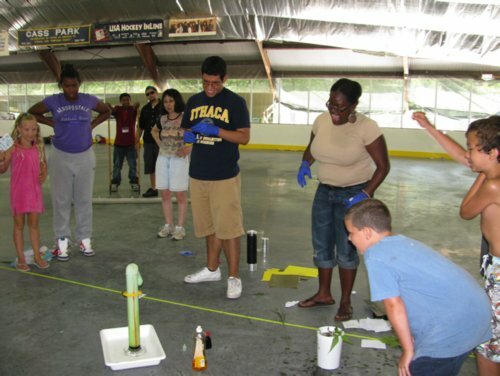 Juan (Chemistry, 2011) and Jade (Chemistry, 2011) showing children a fun demo called elephant toothpaste. Bottom (left-right): Jade (Chemistry 2011), Rutie (Biochemistry 2012). Top (left-right): Courtney (Chemistry 2012), Samantha (Chemistry 2012), Joe (Biochemistry 2012), Tony (Chemistry 2011), Juan (Chemistry 2011), Sarah (Biochemistry 2012).